Apart from two works, all of the paintings inside the Brancacci Chapel present the life of St. Peter, the Brancacci's patron saint. Although not a largely covered story from the bible, Tribute Money depicts St. Peter in different situations following Christ's advice and paying the local tax collector and is taken from the book of Matthew. St. Peter, the most skeptical of all the disciples, is shown doubting and worried but nevertheless heeds Jesus' words. In biblical times, the Jewish population of the Roman Empire was often wary of paying their taxes and not giving all of their processions to God. Christ states, "Render therefore unto Caesar the things which are Caesar's; and unto God the things that are God's." The viewer's attention is first guided, by the vanishing-point on Jesus' head, to the center of the painting where Jesus tells Peter to retrieve a coin from a fish's mouth. The disciples and Jesus are both pointing in that direction. On the right hand side of the painting we can see Peter paying the tax collector. The other disciples are too confused and looking both at Jesus and at Peter, the man who will inherit the authority to interpret the word of God. Tribute Money was created during the Lombardy wars between the states of Venice and Milan. Florence, which sided with Venice, was a key strategic stronghold but as the war continued so did the fight for the allegiance of Florence. Florence was pitted against Milan and needed the help of surrounding states and Rome to defend itself. The war lasted until 1954. The Brancacci, a powerful rich family, understood the strengths of the Milan army and their alliances and sought to protect the state and their family's position. 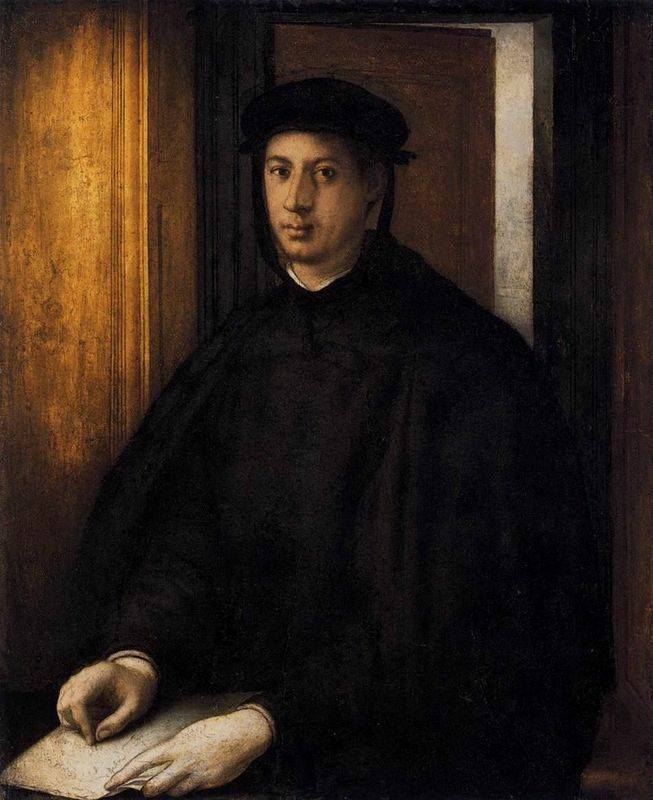 Felice Brancacci, who supposedly won a joust in Florence's conquest of Pisa, was a key diplomat during the battles and was later exiled from Florence until sometime in the 1480s. Felice Brancacci probably commissioned the frescoes to promote duty and authority changes represented by the times and it was maybe also a plea to the town's people to pay their taxes to ensure protection of the city. Tribute Money, as stated above, does well to render social duty and the division of money using stories from the bible. The financial and political situations of the time were cause for Masaccio to paint what he did but to paint how he painted is a different story. Like Donatello and Brunelleschi, Masaccio was a pioneer and incorporated linear perspective into his paintings. It is possible that Masaccio gained an outline for the painting from Donatello, a claim supported by Vasari. Vasari states that he traded Donatello a dinner for an outline for the painting but this seems as likely as his assassination by poison. 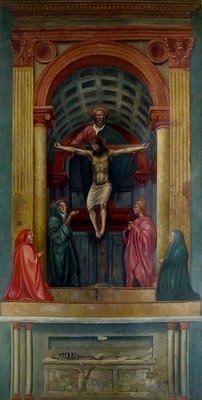 It is more probable that Masaccio had a general idea, at least of the semi-circle around Jesus, and was inspired by the painting Four Crowned Saints by Nanni da Banco in the Church of Orsanmichelle. Intertwined within its narrative, Masaccio uses perspective, chiaroscuro and a humanistic touch to bring the characters to life. The vanishing-point across Christ's head enables the artist to depict light and detail and bring it to a new realm. The vanishing-point draws the viewer's attention to Christ's head first of all. From there Jesus and Peter are pointing to the left where then Peter goes and picks the coins from the fish's mouth. Lastly, the viewer observe the right hand side of the painting where Peter pays the tax collector. The use of this type of narrative moves away from a symbolic portrayal of Christ, that is, as Gothic artists would have him presented. "Who have sought to study the craft of painting have always gone to this Chapel to learn from Masaccio the precepts and rules of executing figures properly." From Vasari, it is understood that the Brancacci Chapel became the center of study for young Renaissance artists. Although today it is not as recognized as much as other Renaissance paintings, Tribute Money was at the time one of the most studied paintings of its era. The depiction of Masaccio's characters in three-dimension and the use of a single light source clearly mark the beginning of the Renaissance movement. Other works in the Brancacci Chapel bear resemblance to Tribute Money, but none are as famous (except possibly Expulsion from the Garden of Eden), for having the same precise use of linear perspective and spatial and humanistic effectiveness. 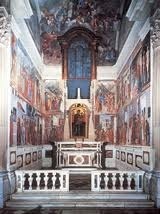 All of the paintings in the Brancacci Chapel are part of a storyline depicting the life of Saint Peter. Born in 1401 to a notary and a daughter of an innkeeper, Masaccio or Moso moved with his mother after his father's to death to Florence. 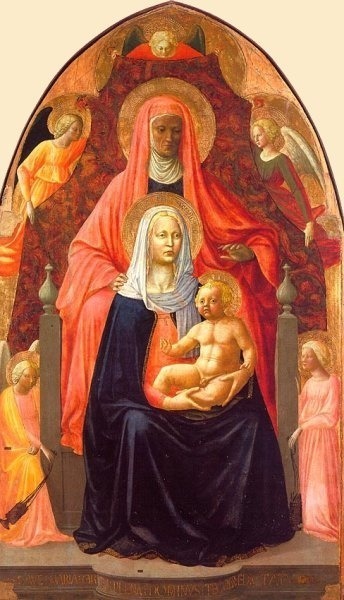 There is not much information about the artist's early years but it's understood that he joined an art guild in 1422 and worked with the painter Masolino for almost his entire painting career. Masaccio was a well-respected artist in his short life and acquired commissions from leading Florentine families to prove it. Today the artist is considered to be a founding father of the Renaissance for his development of perspective that moved away from Gothic styles. 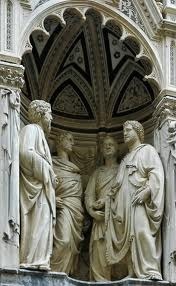 With Florence beginning to flourish and the Medici family investing in art, scholars, artists and intellectuals began to look back to the Classical era. Subjective ideas and symbolic traditions were being thrown out for scientific truths. Prior to the Renaissance Europe was unable to recover from the fall of the Roman Empire. Education was somehow lost and it was not until around 1400 AD that there was reverberation to the past and scientific thought. 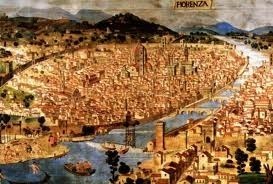 Florence, the heart of the Italian Renaissance was a commercial and political port. While trying to fight for territory and protect its stature in Italy, it established itself as the center of art and the Renaissance.